Marcia Suter, David Tucker, Tom Barden, Paul Many, Michael Miller, Glenn Sheldon, Renee Herberle, Carter Wilson, Larry Wilcox, Ben Pryor, UT President Lloyd Jacobs, Hasan Dudar and Jason Mack, Elaine Reeves, Sharon Barnes, Warren Woodbury, Risa Beth Cohen. Snacks and coffee will be available all day, finger food at 11:30 a.m. and pizza at 4 p.m. Banned Books Week Vigil – Closing Books Closes Possibilities! 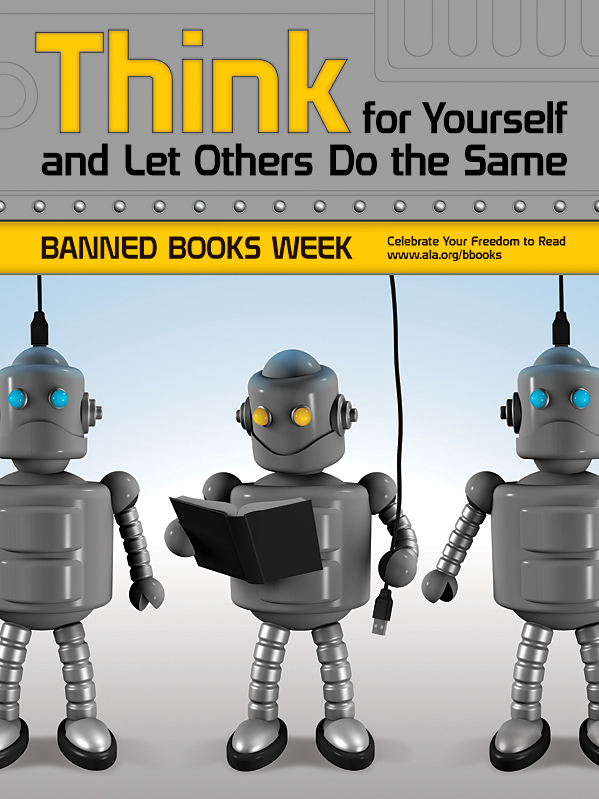 UT will celebrate the American Library Association Banned Books Week with a the 12th Annual Banned Books Week Vigil on Thursday, October 1st on the 2nd Floor of Sullivan Hall. This day-long event will feature speakers from all over campus giving short, 20 minutes talks about topics relating to censorship and the freedom to read. Door prizes will be given throughout the day. “Speech, Reading, and the Banning of Thoughts” – Dr. Jim Benjamin, Communication Dept. “Radical Islamists and Fear of Radical Islamists – Both are Significant Threats to Free Speech”, Dr. Douglas Oliver, Mechanical, Industrial, and Manufacturing Engineering Dept. “1984: From Orwell to Amazon”, Dr. Paul Many, Communication Dept. Keynote Speaker: “Book Burning in Nazi Germany”, Dr. Larry Wilcox, History Dept. “Censorship, Dissent & Etiquette”, Dr. Ben Pryor, Philosophy Dept. “Indecency in Broadcasting: Why Bother?” Dr. David Tucker, Communication Dept. “The Politics of Bad Ideas”, Dr. Carter Wilson, Political Science Dept. Jeopardy with Mr. Brian Hickam & Ms. Elaine Reeves, both University Libraries. “Feminism Does Not Equal Censorship: Toward a Feminist Politics of Representation”, Dr. Renee Heberle, Political Science Dept. This event received the financial support of the UT Communication Department, with food and door prizes sponsored by Barry’s Bagels, Curb’s Candles, Dunkin’ Doughnuts, People Called Women, the Westgate Rite Aid Pharmacy, The Toledo Free Press, UT Business Technology, UT Career Services, UT Bookstore, UT- MCO Credit Union, UT Starbucks, Glacity Theater Collective and UT Theatre Department.